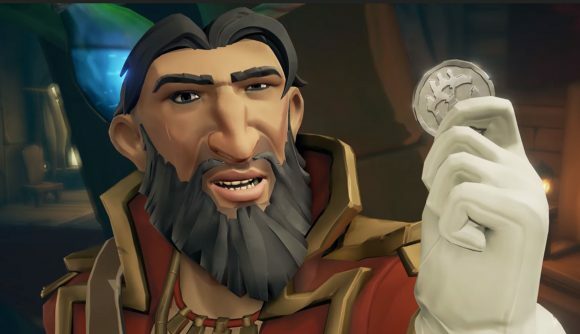 Sea of Thieves has a big 2019 ahead, according to executive producer Joe Neate, and that includes what Rare is calling a “mega-update.” That will include some of the major overhauls and new features that the developer has been discussing over the past few months, including the Arena, a pet system, and a new set of more story-driven quests – all long-awaited additions for one of the best PC games of 2018. We’ll learn exactly what all that means on March 20, the game’s one-year anniversary. That’ll be when we get a proper reveal and announcement for this mega-update, but we’ve got no confirmation on exactly when to expect it. That might come as a disappointment for some – the major updates have been coming pretty regularly, and this is looking like a big gap between releases. But the scale of this update might just make up for it. On today’s Inside Xbox stream, Neate says 2019 will be a bigger year than the last for Sea of Thieves, and while you’d certainly expect that from a proud producer, we do know that there’ve been plenty of big updates in the works. Pets were originally teased back around launch as part of a premium shop supported by microtransactions. At the time, Neate told Eurogamer “It’s entirely optional, but if you had a monkey, for example, you’ll be able to hold it like you can other things in the game, but then I’ll also be able to hold it, then drop it overboard, because that’s funny.” Exactly how pets will work in the final update remains to be seen. The same goes for the story quests. The implication over various developer updates has been that the existing voyage system will be filled out with more notable goals along with story and lore to uncover. We do at least have a bit more info on the Arena, which was announced in November and originally scheduled to be the sole focus of the next major content update. It will be a separate mode that pits pirate crews against one another in direct PvP competition. Judging by the trailer above, at least one of the central modes will have you competing to scoop up and escape with treasure.